Remax Dominican Republic Real Estate - Villas, condo apartments, lots and land for sale in Sosua, Cabarete, Las Terrenas, Puerto Plata and along the north coast. 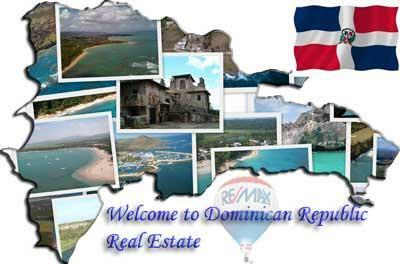 Welcome to Remax Coral Bay Dominican Republic, your source for real estate in the Dominican Republic. If you own realestate that you're thinking of selling, we would be happy to provide you with a FREE Home Evaluation. Remax real estate has been active in the Dominican Republic for around 15 years now and is still going strong offering full real estate and rental servies to our clients. REMAX Coral Bay Realty is an independent privately owned company. 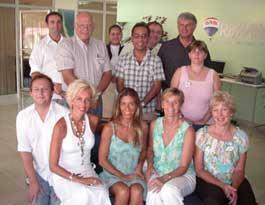 We are the oldest REMAX franchise operating on the north coast of the Dominican Republic. Our owners come from Canada, USA and the United Kingdom, with some of them developing their own residential communities in the sun. With experience such as this, you know your investment is in safe hands. Our sales agents have gone through the process that you are just about to embark on and understand your concerns and are here to offer our support from the simplest daily necessities to finding you the right Caribbean home for your 'Place in the Sun'. All of our listings have been visited by one of the team, ensuring that you receive first hand knowledge. Copies of title and plot plan are ready to review for all listings placed with us. In today's competitive real estate market, timing is everything. Many good homes are sold before they are ever advertised. Beat other homebuyers to the hottest new homes for sale in the Dominican Republic with our New Listings Notification. In addition, if you have any general questions about buying or selling real estate in the north coast of the Domincian Republic, contact us as we are more than willing to help.